Do you use or plan to use expensive hardware for route planning? We’re living in the cloud era. With the evolution of cloud computing (think google drive or dropbox), most businesses are leaving legacy software (like MapPoint) behind. 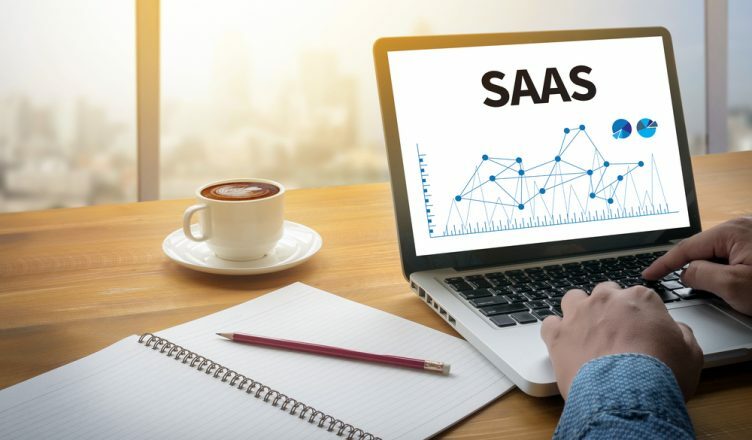 They are now leveraging the benefits of SaaS… software as a service. The logistics industry is no exception. In fact, GPS devices have also seen better days. This is because it is not able to match the standards and capabilities of route planning software on your mobile phone. Then why would you make hefty investments in hardware equipment? You might be wondering how new age route planning software is pushing GPS devices out? And, what kind of capabilities some SaaS route optimization software providers have as standard? 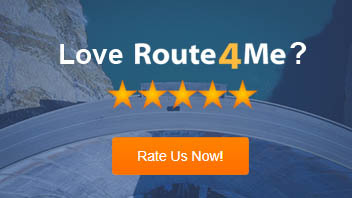 How do these differ from ordinary route optimization software? Well… all these questions we answer in this article. Take a look. SaaS routing software is unlike traditional or hosted route planning software. It comes with a pay per usage model. Which often doesn’t have any long-term contract bindings. You simply pay per month (or worse.. per driver). In this model, it’s the vendor who hosts the route planner and not you. They are responsible for the development, upgrades of the tool, maintenance, and data security. You just need to pay a specific standard fee for using the software; that’s it! No infrastructure investment, expensive setup fees or dedicated resource costs. It’s entirely the provider’s responsibility to make sure the multi stop route planner work for you and your drivers. Most legacy software is not scalable. They might also require vehicles to have specialized equipment and a command center to work. They come at a fixed price, whether you have 5 drivers or 500. Also, their fee can be outrageously high, which a small business might not be able to afford. On the flip side, a SaaS route planner with multiple stops is easily scalable. If your business grows, you just need to upgrade your monthly plan to access more features. So, you can always upgrade or downgrade a plan based on your needs. In this way, you will have a better idea of what your costs could be… great for helping you do accurate budgeting. This differs from IT expenses to manage upgrades and address issues for owned instances. There is also no need to hire any additional resources or invest in equipment. No need to worry about outgrowing your system. You can focus more on growing your business and less time on micromanaging it. Usually, you can only access legacy route planners from the computer where it’s installed. This is one of the biggest problems with it. But, cloud-based software nullifies this problem as it is not machine-dependent. You can access it anywhere and anytime… from any mobile or desktop device. You just need a stable internet connection. That way, your drivers can see route details on their own smartphone. There’s no need to go through any paper map printouts or expensive GPS devices. Imagine how smooth your route planning process would be? So, you can cut down on hefty hardware expenses and rather invest in growing your business. A GPS is a signal-dependent device and often doesn’t work in areas surrounded by high-rise buildings. This increases the probability of your drivers getting lost on the road. Requires manual uploads of routes every day. Is expensive if you require real-time tracking. There’s zero flexibility in the planning process. You need to update in frequent intervals to get the latest maps. Really expensive if you need to connect to your route planning computer. Expenses and hassles that don’t come with SaaS vehicle route planning software. It also gets updated automatically. You shouldn’t have to invest a single penny in setting it up, as everything is on the cloud. Moreover, your provider itself takes care of the maintenance. SaaS route optimizer is already installed and configured over the web. No need doing this yourself. This differs from legacy route planning software. It thus comes with a ready-to-use mode. So, you can immediately get started with planning your routes. This also reduces the number of issues that could get in the way of actually using the software! Ideally, SaaS solutions come with integration features with other software solution. You don’t need to buy other software to integrate with other applications. This differs from legacy delivery software. For example, a good cloud-based route planning software comes with a data import feature. You can import your customer addresses from Google Drive, Dropbox or other SaaS apps. In fact, you can do so directly to your route planning software. It’s easy to use and learn. You can test the software before you buy it. It automatically backs up your data. It improves management of your talented employees. Corporate standards are more easily ensured. There are no compatibility issues. SaaS route planning software have a lot to offer. If used properly, it can help you save time and money on route planning. It can also reduce unnecessary human resources. Furthermore, by eliminating incompatibility and maintenance problems, it focuses your business on growing and greater productivity. Moreover, the “total cost of ownership” (TCO) is always transparent to you. The possibility of any hidden or unplanned cost is zero (at least with some providers). According to a Forrester report, the global SaaS market will amount to $106 billion by 2016. And, a Centaur Partner report states that SaaS business apps will be worth $32.8 billion in 2016. So, when the entire world is moving to SaaS, why would you stay behind? However, not every SaaS route creator will be a right fit for you. You need to weigh them on several critical parameters to make the right decision. So, when do you plan to go for a SaaS route planning software?